PC gamers, prepare to be upset: A new and highly anticipated franchise developed by none other than Bungie won't be hitting store shelves for you, at least not anytime soon. Anyone who played the Halo series prior to the release of Halo 4 can tell you exactly how important Bungie was (and still is) to gamers. The powerhouse developer was responsible for some of the best moments in gaming history, receiving many awards for its popular Halo games and generating a lot of revenue for Microsoft's Xbox and Xbox 360 consoles. I'll be honest in saying (and I'm sure I'm not the only one) that I purchased an Xbox 360 just to play Halo. But after so many years of dedicated Microsoft-based service, the developer decided to move away from its Xbox exclusive arrangement and push on toward bigger and better things. The veteran developer surprised everyone at this year's E3 with a sneak peek at their new franchise, dubbed Destiny. The game can be described as a mixture of Borderlands and an MMO, laced with beautiful artistry and imaginative landscapes. There are already a ton of videos, developer diaries, and screenshots floating around the web that can give you a glimpse at what Destiny is all about. 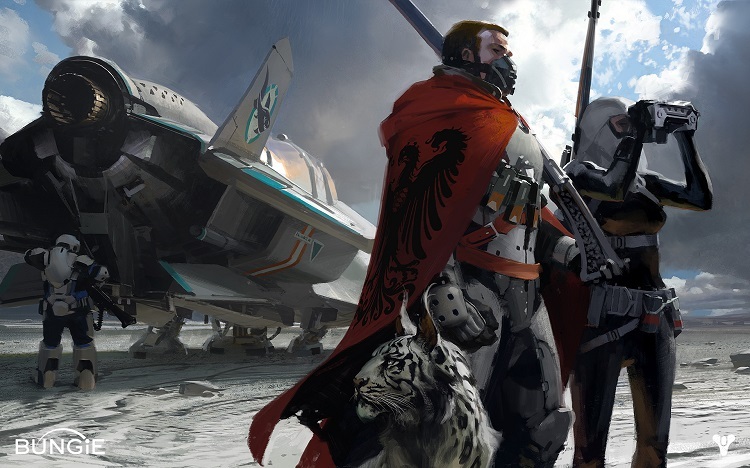 One of the biggest changes for Bungie isn't the fact that they are producing a new franchise, but rather, the fact that they have finally broken free of their prison of exclusivity. Destiny will be the first Bungie game to be featured on multiple platforms. I don't know about you, but whenever I hear the words "mutiple platforms," I automatically assume that PC is included. However, for Destiny, this is not the case. "We know there are a lot of people out there asking for PC and we know that there are a lot of gamers that would willingly give us money, but what we have to do is make sure we're focused enough to bring a good experience to any platform that we ship on. What we 100 percent are not going to do is spread ourselves so thin that it negatively harms the other platforms. So right now we have the four platforms, which is a lot to focus on." So that's a definite "no" for the time being. Hopefully Bungie will change its tune in the future. And just for the record, the four platforms that Osborne mentioned include the two "current generation" systems, Xbox 360 and Playstation 3. What do all of you PC gamers out there think? Are you upset by this news, and more importantly, are you going to go out and buy a console just to play this game?